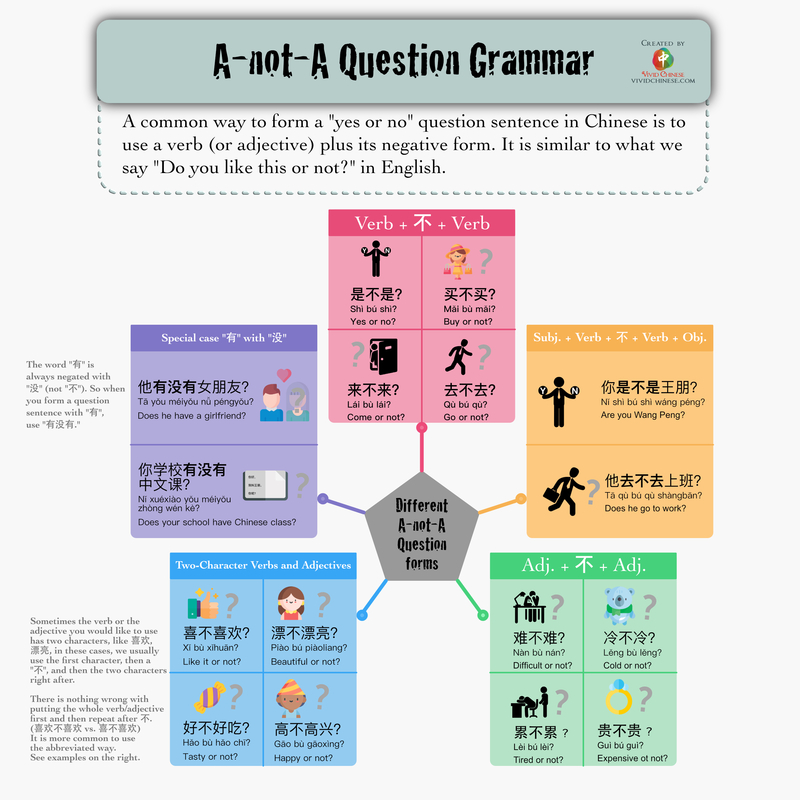 One common way to form a “yes or no” question sentence in Chinese is to use a verb (or adjective) plus its negative form. It is similar to when we say “Do you like this or not?” in English. One of the most common A-not-A question forms. Simply repeat the ONE word verb twice and place a “不” in between. 2. Subj. + Verb + 不 + Verb + Obj. If you would like to form a complete sentence, add the subject in the beginning and the object after A-not-A part. 3. Adj. + 不 + Adj. Another common form. Simply repeat the ONE word adjective twice and place a “不” in between. and then put the two characters after that. There is nothing wrong with putting the whole verb/adjective first and then repeat after 不. 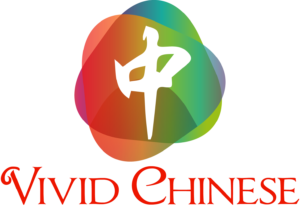 (喜欢不喜欢 vs. 喜不喜欢) It is more common to use the abbreviated way. The infographics are awesome and great to memorize. Thank you for all of this. We will continue making useful infographics!